Last year when Bangalore Metro Rail Corporation Limited set out to improve last-mile connectivity for commuters on the city’s metro railway network, it turned to a bunch of technology startups to help them build apps to solve specific problems. One of those was Kodikas Technology Pvt. Ltd, developer of smart parking platform Constapark. Within a year of being signed up for the project, Constapark was acquired by rival Get My Parking. The deal marked the first successful exit for Brigade REAP, the startup accelerator programme from Bengaluru-based real estate developer Brigade Group. Constapark belongs to a group of 18 startups that have graduated from Brigade REAP since it started running the programme a little over two years ago. Though the firm claims to be the only accelerator programme in the country catering to technology startups in real estate, it joins a host of global players that offer support to emerging companies in the sector. California-based Fifth Wall, New York-based AREA and MetaProp NYC and London-based Pi Labs are some well-known names that support real estate technology firms. 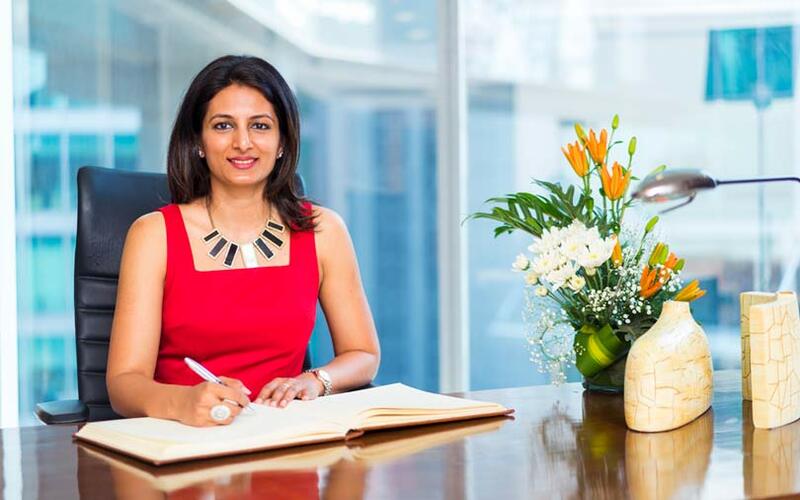 “I realised the need for an accelerator focused on the real estate sector when I started to see gaps in the business models of various startups that we came across at Brigade Group,” Nirupa Shankar, director of Brigade REAP and director of Brigade Hospitality, the real estate developer’s hospitality business, told TechCircle. Four cohorts and one exit later, Shankar and her team, Kalpnik Technologies founders John Kuruvilla and Apul Nahata, think they are on the right track. “Post REAP, all the startups have seen an average increase of more than 70% in revenues,” she said via a telephone conversation and email responses. Now, the accelerator is scouting startups for its fifth cohort. The accelerator programme puts selected startups through a four-month structured programme that makes resources and support available. These could be in the form of access to domain experts across sectors and technology, connects with customers for product validation and adoption, and introductions to prospective investors. “We also get deeply involved with the startups and go with them for customer pitches, help them in their hiring, and sort out co-founder, investor or mentor issues, if any,” said Shankar. The accelerator focuses on six key functional areas—business model, technology, product, go-to-market, people and scalability. In order to bring further value to the table, REAP has strategic partnerships with technology companies such as Cisco, Intel and Microsoft and industry associations such as with US-based commercial real estate services and investment firm CBRE and industry body NASSCOM. It typically targets startups from technology segments such as Internet of Things, clean-tech and renewables, nanotechnology, visual computing, logistics and supply chain, and big data. In exchange for the value it offers, the accelerator picks up a 2-7% equity stake in each startup. The size of the stake corresponds to the investment Brigade REAP makes and the revenue run rate that a startup has at the time of applying to the programme. While the accelerator has seen just one exit so far, several startups that have graduated from the programme have gone on to raise capital from external investors. Out of the 18, eight have raised capital from investors such as Aarin Capital co-founder T Mohandas Pai, Singapore-based early-stage investment firm SB Ventures and New York-based venture capital firm Quake Capital. “That represents a conversion rate of 44%,” Shankar added. The Brigade Group itself has invested in two out of the eight startups—QwikSpec, a project site management technology platform, and Snaptrude, a real estate-focused 3D modelling design startup—through its various arms. Bengaluru based Xlsys Technologies Private Limited, which owns construction site operations and analytics platform QwikSpec, raised $540,000 (Rs 3.5 crore) in a pre-Series A funding round led by Brigade Innovations, part of the Brigade Group, in July last year. TV Mohandas Pai, Asset Builders director Suhail Rahman, Bobby Reddy of Indus Group, and UAE-based private investor M George Oommen also put in money. Founded by Ajith Alexander and Roby Kurien in January 2015, the startup offers end-to-end job site management and analytics services for the real estate industry to help developers reduce complexities in the construction of large projects by automating monitoring and supervising processes. Bengaluru-based Snaptrude Technologies Pvt. Ltd, founded by Altaf Ganihar in 2015, raised an undisclosed sum from Brigade Enterprises, also a part of the Brigade Group, and other real estate developers in August last year. The company creates 3D models of hand-drawn sketches and floor plans instantly with materials and estimates which one can be immediately implemented. Bengaluru-based Pristech Technologies Pvt. Ltd, which runs parking solutions app PParkE, raised an undisclosed sum in seed funding from Singapore-based early-stage investment firm SB Ventures in January last year. The company was founded by Shampa Ganguly and her husband Pritam Ganguly in December 2015. In February last year, drone operations management platform AirZaar raised $350,000 in seed funding led by Quake Capital. Missouri Technology Corporation, a public-private partnership that provides seed money for technology startups and a few other strategic angel investors, also participated in the round. 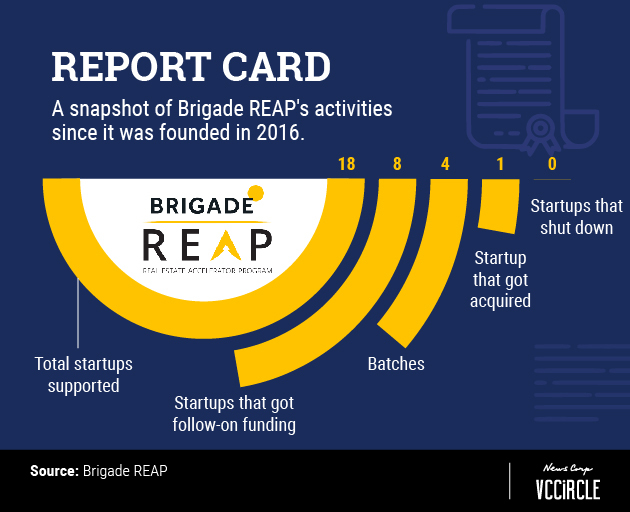 Besides these, other startups from Brigade REAP’s accelerator programme that raised follow-on funding include CRE Matrix, a commercial real estate information and analytics platform; Props AMC, a real estate insights and asset monitoring platform and WeGot, a water management utility solutions firm.